Granit Xhaka has been facing a lot of criticism in the past few weeks but he is looking forward to Brighton’s match after he promises to give the gunners a 3 nil win. The gunners will be playing against Brighton & Hove Albion on Sunday and they will need to win this match in order to appease their fans who are currently disappointed with the team. 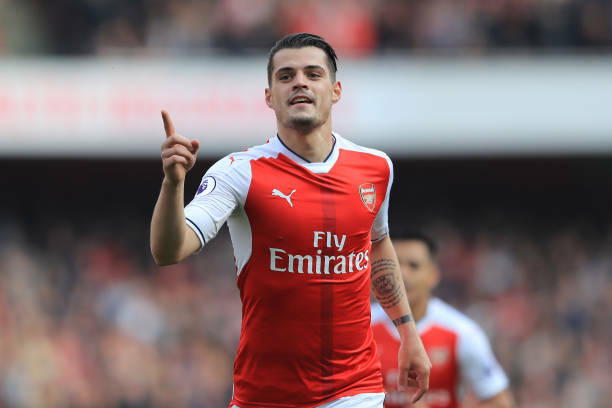 Granit Xhaka will be hoping for a start in today’s match against Brighton and he will surely get one because he is among Arsene Wenger‘s favourite midfielder’s and he has sent the gooners a message ahead of the match. The player used Instagram to send the gooners a message and promised the gunners of a win. The Swiss international has been facing a lot of criticism in the past few weeks with many Arsenal supporters saying that he was a wastage of money.